Want to know how to clean vinyl records? Read to find out! “How to clean vinyl records?” is one of question often asked by vinyl aficionados. There are tons of articles and videos about this subject on the internet. They go from the “cheap” methods consisting of carelessly using whatever you can find at home to clean your records, to the “elite” ones suggesting to spend hundreds or even thousands of dollars on record cleaning machines and cleaning fluids. Many vinyl lovers agree that the best way to clean vinyl records is by applying a record cleaning solution and then removing the dirty liquid with a vacuum record cleaning machine. The problem is that record cleaning machines are expensive. Don’t kill yourself if you cannot afford expensive equipment. The important thing is to clean your record the best you can and enjoy. Listening to vinyl should be fun and enjoyable. You may think that buying better audio equipment is the only way to get better sound quality, but you’ll be surprised at how much improvement in sound quality and performance you can achieve by keeping your records clean and in good condition. Here is a list of the main benefits of cleaning your vinyl records. How does your record get contaminated? Dust is the most common contaminant, and can come from small particles of dirt, sand and skin cells. But it is likely that other contaminants like nicotine, finger oil and other materials are present on the surface of the record or inside the grooves. 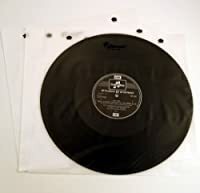 Records may also contain a thin layer of a mold release compound, a lubricant used during the manufacturing process to easily release the record from the mold. Static is the main culprit of dust getting onto your record. Your vinyl record builds up static electricity when you take it in and out of its cover and sleeve. It also accumulates static during playback. Once your record is charged with static electricity, it acts like a magnet that attracts dust and other contaminants. Dust accumulates when you return the record to the sleeve. So, when you place your record back to the sleeve, it may get recontaminated. Regularly clean the surface of your record with a carbon fiber brush. Use an anti-static slip mat. 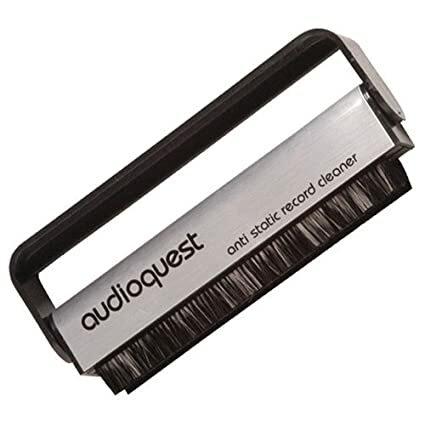 Use an anti-static gun to remove the static charge on the surface of the record. 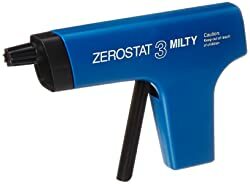 Use an anti-static record cleaning fluid . Use anti-static record sleeves to store your records. It’s very important to also keep the needle clean. The needle picks up dust and other particles from the grooves while playing. You can use a small brush to properly maintain the needle. Although you may be tempted, avoid touching the needle with your fingers, the cantilever can get damaged and the tip contaminated. Dry cleaning methods consist of regularly cleaning the surface of your record without the use of liquids. Unfortunately these methods don’t get very deep into the record grooves. Use these methods for regular maintenance of your records. 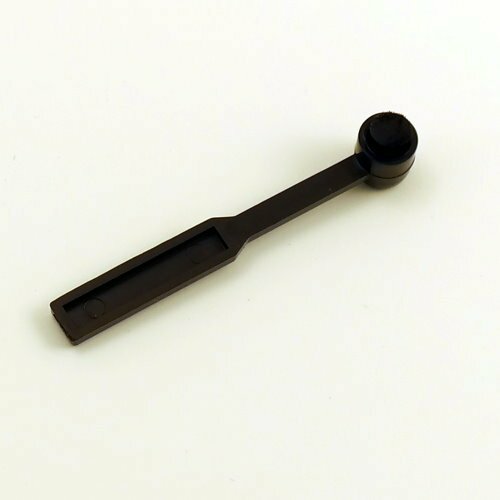 An alternative to the carbon fiber brush is the In The Groove record cleaning roller. 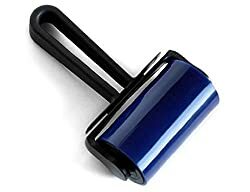 The roller has a sticky material specially designed to collect dust and debris deep-down the grooves. In The Groove is very easy to use, gently roll it on the record following the direction of the grooves. To clean the roller just rinse it with tap water and dry it with a paper towel, it will recover its stickiness. The most effective way to clean your records is by using a cleaning fluid that will help dissolve the contaminants and reduce static. This is known as wet cleaning. A successful cleaning depends on the quality of the cleaning fluid and the ability to completely remove the dirty liquid. Using a vacuum record cleaning machine is still the best technique to deep clean your records. Unfortunately, these machines are expensive and not everybody can afford one. Here are some techniques that you can use to deep clean your records. You just need a bottle of record cleaning solution and a micro fiber cloth. Before wet cleaning your record, gently brush the surface with a carbon fiber brush to remove any dust and debris. Then, apply the cleaning solution to the microfiber cloth and wipe your record in a circular motion in the direction of the grooves. The drawback of this method is that fluid residue and some of the dissolved contaminants may sill remain on the record after cleaning. 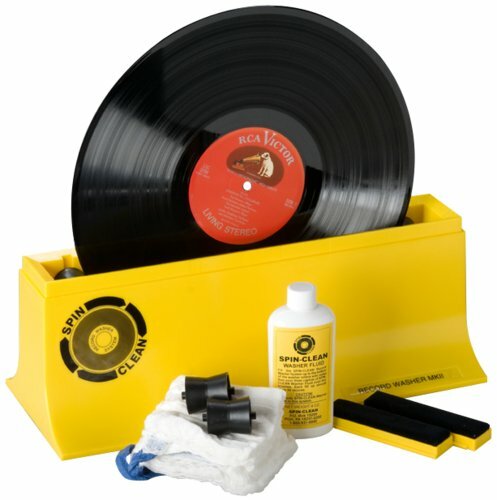 Spin clean is a good, yet affordable, system for deep cleaning your records. It consist of a reservoir where you pour distilled water and a record cleaning solution. The reservoir has rollers that can be positioned to fit records of different sizes. It also has two brushes or pads in the middle. To clean your record, insert it in the middle and start spinning. When spinning the record, make sure not to touch the grooves, spin the record holding the edges. Take the record out of the tank, damp with a cloth and let it dry. The disadvantage of this method is that contaminants accumulate in the tank. The brushes in the middle also accumulate contaminants. This may potentially recontaminate the record during the cleaning process. Some people have suggested to rinse with distilled water after cleaning, but this makes the process lengthier and impractical. Another drawback is that liquid residues may remain on the record after drying. The best way to deep clean your records is to use a vacuum record cleaning machine. The best machines are the ones that are able to completely remove the dirty liquid from the record. These machines can cost you anywhere from $200 to $5,000 at the time of writing this article. 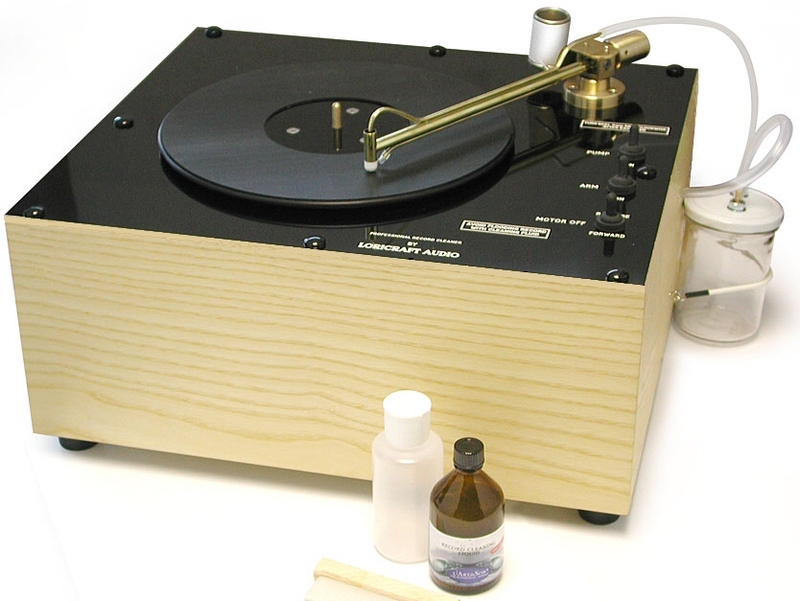 One of the most popular record cleaning machines is the VPI HW-16.5 which is about $600. Most vacuum record cleaners work in a similar way with some variations. Generally, to clean your record, you have to place the record on top of the platter and secure it with a clamp. Turn on the turntable and apply the cleaning solution to the record while rotating. Using a record brush, scrub the cleaning liquid on the record to allow the fluid go get deep into the grooves. The liquid will lift up dirt and other contaminants. Finally, use the vacuum tube to remove the dirty liquid and other contaminants. You may find variations and other features on record cleaning machines like forward and reverse rotation. Some models can even automatically clean both sides of the record. The top record cleaning machines, like Loricraft and Keithmonks, use a different suction mechanism. Instead of a tube that cleans a big area at once, these types of machines have an arm similar to the one on a normal record player. At the end of the arm there is small opening that vacuums few grooves at a time. They are also less noisy. Ultrasonic cleaning is certainly not new, but it has become more popular nowadays. In the past, this technology was even more expensive than today. Ultrasonic record cleaning machines have proven to work very well. It consist of immersing the LP in a cleaning solution. The machine emits ultrasound waves that propagate through the liquid generating microscopic bubbles. Those bubbles collapse causing the contaminants to loosen. 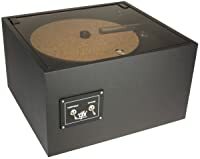 Some ultrasonic record cleaners can clean several records at the same time. Ultrasonic Record Cleaning Machines are quite expensive. One particular system that is worth mentioning is the Audio Desk System. This LP washing machine is fully automatic, it cleans and dries the record in about 5 minutes. Just place the record vertically and push the start button. When the green light shines, your record is ready to play. Some people don’t like ultrasonic machines because the record may get re-contaminated, however, this particular machine filters the cleaning solution to avoid re-contamination. 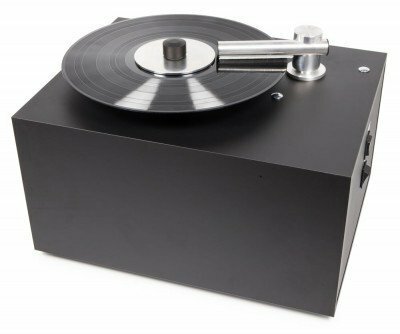 Should I Buy an Expensive Record Cleaning Machine? It really depends on the size, value and quality of your vinyl collection. For the majority of vinyl enthusiasts, a liquid fluid with a cloth, or the spin-clean system may be enough. However, if you are a serious vinyl collector, and your vinyl collection consists of rare, irreplaceable and/or expensive albums, buying a good record cleaning machine is a good investment. You’ll save money in the long run. Keeping your records clean can increase the life of your phono cartridge up to 6 times. If you have an expensive turntable with a hi-fi cartridge, you’ll save a lot of money having a good record cleaning machine. Another option is to use a professional record cleaning service. They have top equipment for cleaning vinyl records. Those services charge about $30 for 5 records. So, if you need to clean more than about 300 records, then it’s better to have your own cleaning machine. Float dust and contaminants away from the vinyl for easy removal. Therefore, an effective record cleaning fluid must have certain properties. It must spread on the vinyl surface, have a low surface tension to be able to penetrate deep into the grooves, dissolve contaminants on contact, float solid contaminants away from the vinyl and should not leave residuals after removing the liquid. Why not just clean with tap water? Tap water has many impurities and chemicals that may contaminate your record. It may also leave residuals after drying. And even if you used distilled water, it has a high surface tension and wouldn’t be able to reach those tight spaces. For more information, read this detailed explanation on record cleaning fluids. Is it safe to use products that contain alcohol? There is a lot of controversy about using products with alcohol. My personal opinion is that if there is doubt, you are better off avoiding it, why risk your vinyl collection? Plasticizers are added to the vinyl during the manufacturing process to give the record its flexibility. Those plasticizers are soluble in alcohol. Thus, theoretically, alcohol can damage and degrade your vinyl records. What record cleaning fluid do you recommend? L’Art du son is the most recommended record cleaning fluid. It’s an anti-static, environmentally friendly formula that contains no alcohol. This formula needs to be diluted in distilled water and it makes up to 4 gallons of cleaning solution. 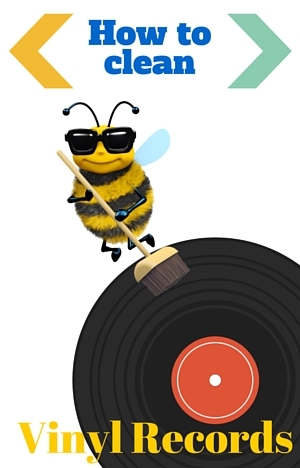 You’ll find countless methods for cleaning your records on the internet. Just be careful and use your good judgement. Avoid using products with alcohol. Also avoid any methods that may put your vinyl records at risk unless you don’t care if they get damaged. As an example consider the now famous wood glue method where the vinyl record is fully covered with glue and let dry overnight. Then the thin layer is peeled off. It looks like the method works well, but it’s time consuming, risky and requires you to buy a lot of glue. 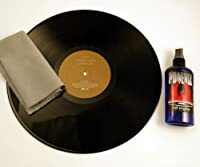 Another method that I have seen many times is one where you clean your records with a polishing cloth and Windex or another glass cleaner. Just be aware of the chemicals, most of them contain alcohol. Love this website, full of cool info. I am hoping to purchase a Spin Clean at some point, it seems to the best budget cleaner when used correctly. I decided to make up a do it yourself cleaning solution and it seems to work, I have had no issues but it is time consuming. When cleaning records the way that I do it be careful not to get anything on the label. You will notice in my video that I actually cleaned the label but that was because the record was covered in MOLD! Yikes! So I had to clean the label but luckily there were no adverse effects from the process. I have 2 videos showing how I clean my records. Sorry, I did not shoot in landscape mode. Don’t know why because I always shoot in landscape. I have a smallish collection of Beatles UK 1st pressings (approx 20-30 rare and valuable records) that are almost all in need of a professional clean. I’m lucky to have a wonderful record store nearby who has a Nitty Gritty machine and they will clean them for about $1 a side so I am probably going to be taking them in for a good clean. One thing I’m a little worried about is removing the glossy sheen that they have all managed to keep after 50-60 years…I think they should be fine though but is there a chance of that “just pressed sheen” being removed? Another thing is that I have a couple of NM vinyl (most notably a NM Mono White Album 1st press that doesn’t even have hardly any hairlines)…would the machine be gentle enough to avoid making those marks? I’ll talk to the store first obviously, just wondering your opinion. Great article! For the vast majority of my record collection I think a simple at home clean would suffice. Nice to hear that you have a nice collection of 1st pressings. In my opinion, your albums will be fine. Just ask the record store about their cleaning solution. 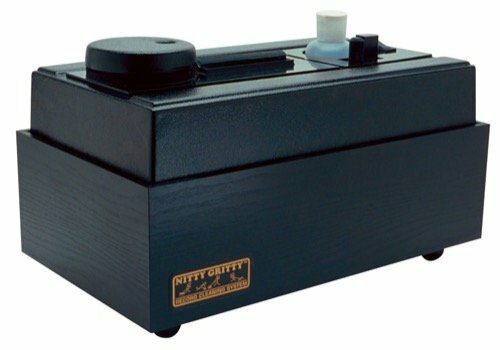 The Nitty Gritty is a good machine, it will be gentle on your albums. I doubt they will loose their sheen. I really think is a wise decision to have them clean. Your records will thank you 🙂 You should also consider replacing the protective sleeves. 2 How does your record get contaminated? 3 How to reduce static? 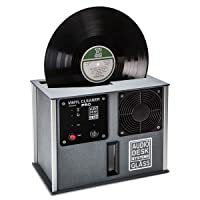 8 Should I Buy an Expensive Record Cleaning Machine?